You've heard that to lose weight, you must eat less and move more. But understanding just how much more to move can be confusing. How many calories per day or a week you should burn to lose weight depends on many factors — including your weight-loss goal, how much you're eating and how you're burning those calories. In addition to weight control, physical activity affords numerous health benefits, such as better joint mobility, protection against chronic disease, enhanced mood and improved stamina. Be excited with any weight loss you achieve through exercise and know you're doing your body a world of good every time you get out of your chair to move. In order to lose one to two pounds per week, you need burn 500 to 1,000 calories per day more than you consume — or 3,500 and 7,000 per week. Since one pound of fat equals 3,500 calories, in order to lose one to two pounds per week (generally considered a healthy, reasonable goal), you need to burn 500 to 1,000 calories more per day than you consume — or between 3,500 and 7,000 calories per week. 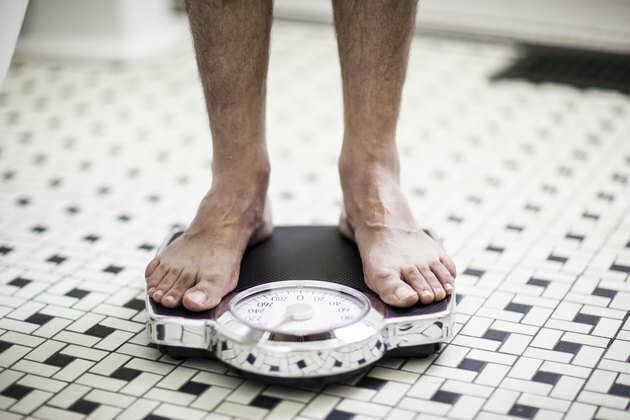 Losing weight more quickly than this isn't recommended by most major health organizations. It's usually unsustainable and can lead to nutrient deficiencies, muscle loss and a stalled metabolism. To create that caloric deficit (meaning you burn more calories than you consume), you first need to figure out how much you're consuming and how many calories per day you burn without exercise. 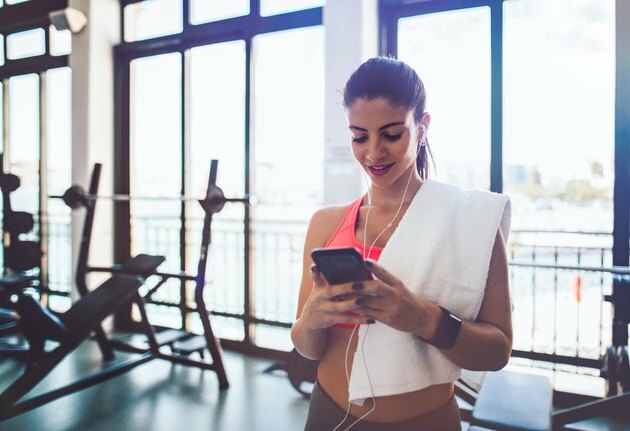 You can use an online calorie calculator like LIVESTRONG.COM's MyPlate app to track how much you're eating as well as determine your ideal daily caloric intake, given your current age, size, gender, activity level and weight-loss goal. This calculation takes into account your basal metabolic rate (BMR), which is the number of calories your body burns on a daily basis performing basic functions. But you must be sure that you add exercise without increasing your calorie intake. If you eat more calories in response to exercise, it won't result in weight loss. For example, a 155-pound person burns 2,000 calories per day and eats 2,000 calories will maintain her weight. But, if she exercises and burns an extra 500 calories per day — perhaps by jogging at 5 mph for 45 minutes — but continues to consume 2,000 calories, she can lose a pound per week. Her efforts can be compounded by cutting an additional 250 to 500 calories out of her diet. The American College of Sports Medicine recommends a weekly 200 to 300 minutes of moderate-intensity cardio, or about 2,000 to 3,000 calories burned per week, to lose significant weight. Significant weight loss is defined as more than 5 percent of your body weight. With a pound equaling 3,500 calories, burning this amount results in between 0.6 to 0.85 pounds lost per week — if you don't make changes to your diet at the same time. Approximately 94 percent of the members of the National Weight Control Registry, a group of more than 10,000 people who have lost significant weight and kept it off, report exercising along with diet as leading to success in their weight loss. Ninety percent of these individuals exercise 90 minutes every day, or burn about 2,000 calories per week, to maintain their weight loss. How many calories you burn in a workout depends on your size, duration and intensity. For example, a 155-pound person who does 30 minutes of moderate-intensity calisthenics — such as jumping jacks and pushups — or a 4 mph walk burns 167 calories; but a 185-pound person burns 200 calories with these same activities. During more vigorous activity, you burn more calories in less time. A 155-pound person burns 409 calories in 30 minutes of running at 9 mph, while a 185-pound person burns 488 calories. These are calorie approximations, however. Even gym machines — such as elliptical trainers, heart rate monitors and treadmills — estimate how many calories you burn, using a formula that may not be 100- percent accurate. For example, for people of the same weight, the one with a greater amount of muscle mass will burn more calories during exercise than someone who has a higher percentage of fat. Also, a beginner who is not efficient at an exercise will expend more calories than someone who is familiar with it. 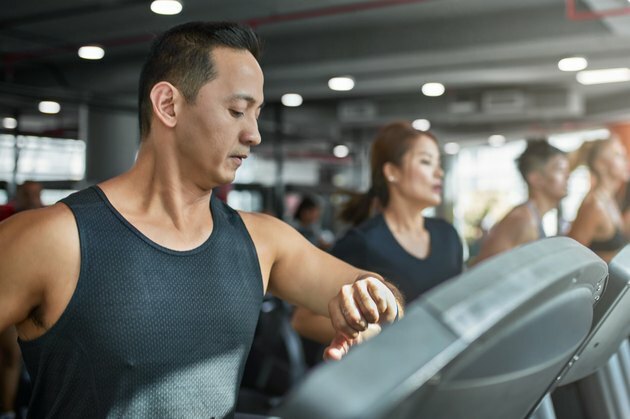 If you hold the handrails of the treadmill or step mill as you exercise, it will also cause you to burn fewer calories than is reported by the machine. Unless you exercise in a clinical setting with specialized equipment, you can't be 100-percent sure of how many calories you burn in any given workout. What you ultimately lose according to the scale may not reflect what you expected partially due to these possible discrepancies. Is Cardio or Strength Training Better for Weight Loss? Exercise helps burn calories and also maintains lean muscle mass while you're losing weight. If you reduce calories without exercise, one-quarter of every pound you lose comes from lean muscle mass. Muscle also requires more calories for your body to sustain, so it boosts your metabolism. Measure the benefits exercise provides to weight loss in more than just calories burned, too. Cardiovascular exercise, which involves raising the heart rate for an extended period of time, such as cycling or running, burns a lot of calories per minute as compared to strength training. But strength training is better at developing muscle mass when compared to cardio. You may burn just about 100 calories per half-hour session of strength training but reap numerous, additional benefits. Ten weeks of resistance training can increase your lean muscle mass by 3 pounds, decrease your fat weight by 4 pounds and increase your metabolic rate by 7 percent, reports research published in a 2012 issue of Current Sports Medicine Reports. A balanced approach to exercise that includes both forms is best for your health and weight loss. Read more: Which Cardio Workouts Burn the Most Calories? Exercise helps you lose weight for sure, but it's more effective when combined with dietary measures. Researchers who followed the weight-loss progress of more than 400 post-menopausal, overweight women for a year found that a combination of exercise and diet worked best for weight loss. You don't necessarily have to burn 500 to 1,000 extra calories per day to lose the weight when you also trim calories. A combination of less food and more movement also helps create a deficit. For example, eat 250 calories fewer than the number of calories you need to maintain your weight and workout to burn off 250 calories per day, and you'll lose a pound per week. Cutting 250 calories can be as easy as skipping a roll at dinner to save 87 calories, eliminating one tablespoon of mayonnaise from your sandwich to save 95 calories and skipping one ounce of cheese on morning eggs to save 114 calories.